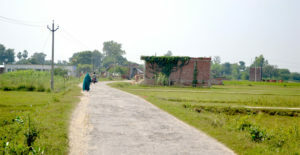 In a bid to transform the lives of thousands in rural India, Yogesh Sahu and Rajnesh Bajpai, two IT professionals came up with – ‘SmartGaon’ an epitome of Smart app that serves as a knowledge platform, a marketplace, a helpline, a holistic development tool, and connects the entire village population internally with the developed world. “What prompted us to take this initiative was Prime Minister Modiji’s speech at San Jose SAP center,” said Rajnish Bajpai. Within a span of 48 hours, Taudhakpur, the village with limited amenities in Raebareli, Uttar Pradesh, has set a record of constructing 242 toilets. This village is on the track of smartness with installation of CCTV cameras, Public Address Systems, dustbins, and street lights at various junctions. Apart from basic facilities and infrastructure, the villagers have been able to set up Adarsh Primary School, organise regular health checkup events in Primary School for students and Community health centers. Besides this, the village has developed a WiFi Zone in addition to 18-20 hour power supply. All this development, that has taken place is owing to Mobile App called ‘SmartGaon’ which has been important in monitoring and updating all the issues. “With initial success, we have envisaged transforming 10 more villages in next 2 years. Our next step is to spread awareness amid urban citizens, NRIs and corporate so that they step forward to support this cause, which will help us to build a better India,” says Yogesh Sahu.